Two further opportunities to enjoy some fantastic late summer 2017 woodland runs. Both starting at 19:30, these 1 hour 15 minute runs will take you through bogs, brambles, bushes and beer, as each run finishes at a pub! Runs suitable for all with loop backs where needed, to keep everyone safely together. 19 September (Tuesday). 19:30. Meet at the Church at the top of Church Lane(the steep one!) in Bow Brickhill. 27 September (Wednesday). 19:30. Meet at The Duke pub in Heath and Reach village, just down the A5. 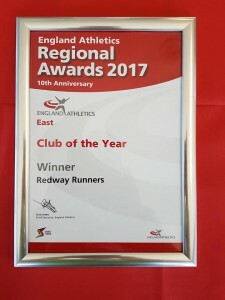 Redway Runners of Milton Keynes have been voted ‘Club of the Year’ by England Athletics East Region at a recent awards ceremony during the all England Junior Athletics Championships held at Bedford International Athletic Stadium on Sunday 27th August 2017. The award means that they now go forward to the national awards to be held later in the year. Committee member Steve Scott was on hand to accept the award on behalf of Redway Runners and was joined by fellow member Simon Richards and Ian Stevens who was responsible for nominating the club for this award. 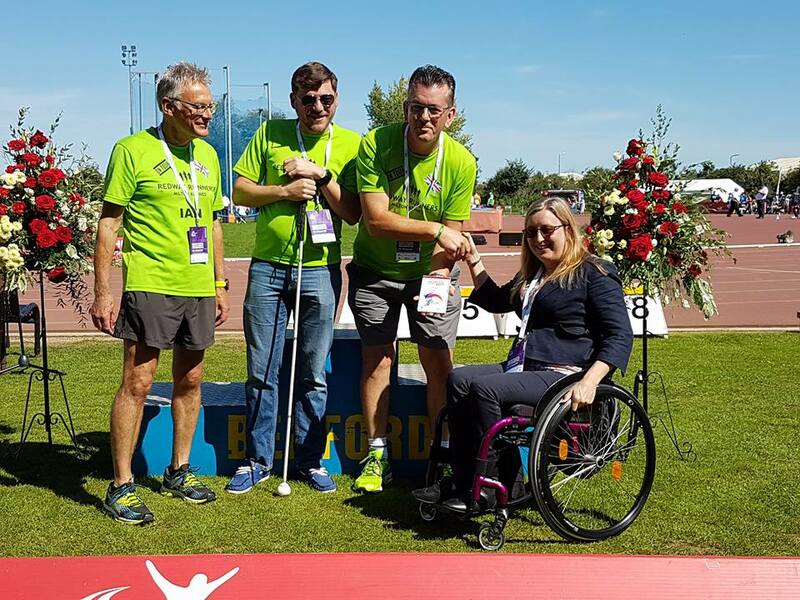 The award was presented by England Athletics Council Member, Rebecca Gilbertson. News of the award was announced immediately afterwards to those gathered at the club annual BBQ. Part of the reason that Redway Runners received this prestigious award was for the many events it organises, including many this year to help celebrate the 50 year anniversary of Milton Keynes. The next big event being the MK50 Treasure Hunt being held on Sunday 1st October 2017 at Willen Lakes. The club will be commencing the next beginners courses at the beginning of next month, where over 300 have already signed up. Having been nominated, we’ve only gone and won the “Club of the Year” at the England Athletics Regional Awards at Bedford International Athletics Stadium today. We are now automatically entered into the national at awards later in the year. It was a huge honour for me, Simon Richards and Ian Stevens, who nominated the club, to receive the award on behalf of Redway Runners in front of several hundred spectators. All this would not be possible if not for all those who work hard behind the scenes but mostly due to the tireless work and enthusiasm of our leader, Martin Lawrence. Many congratulations Martin. This award is for you. 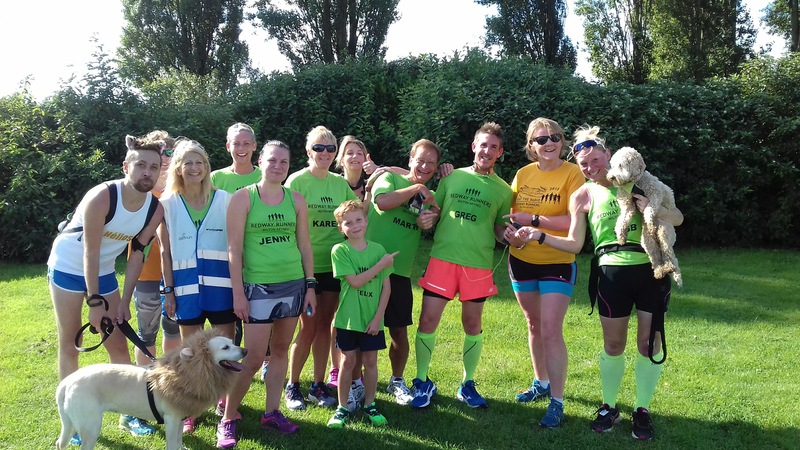 At Saturdays parkruns onthe 19 August Olympic and Paralympic athletes went along to a number of parkruns and doing the tail role, at MK Willen it was Greg Rutherford and at Linford Wood Double Rio 2016 Gold Medalist Chris Clarke. Want to take up running?? As we come towards the end of the summer maybe you are thinking of starting a new challenge, then why not sign up to one of the Redway Runners free beginners groups, many of the courses still have spaces. I’ve ever done on my life. Thoroughly enjoyed the experience and will keep running with the club. I can not see anything that you would need to improve. Great fun and lovely leaders and helpers. Excellent, everyone has been very welcoming, helpful, encouraging and I will certainly be recommending the beginners course and the club to others. I can’t wait to continue as a member. Thoroughly enjoyed the course & felt it pushed on the right amount week by week to achieve the 5k at the end. Thank you! 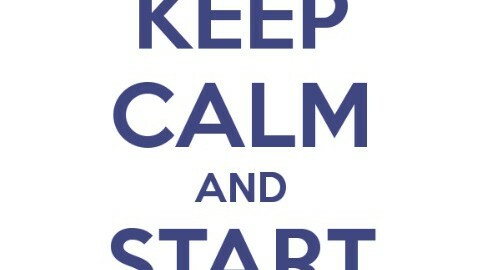 http://www.redwayrunners.com/wp-content/uploads/2017/08/Keep-calm-and-start-running.jpg 545 478 Martin Lawrence http://www.redwayrunners.com/wp-content/uploads/2013/04/logo.jpg Martin Lawrence2017-08-22 20:40:582017-08-22 20:40:58Want to take up running?? Stephen Dunham and Jen Sangster were this year’s male and female winners of Beat the Barge; a dash of five miles across multiple terrains. The club was pleased to present last year’s Charity of the Year, The Haemophilia Society, with a cheque for £6642.99 at the end of the event. 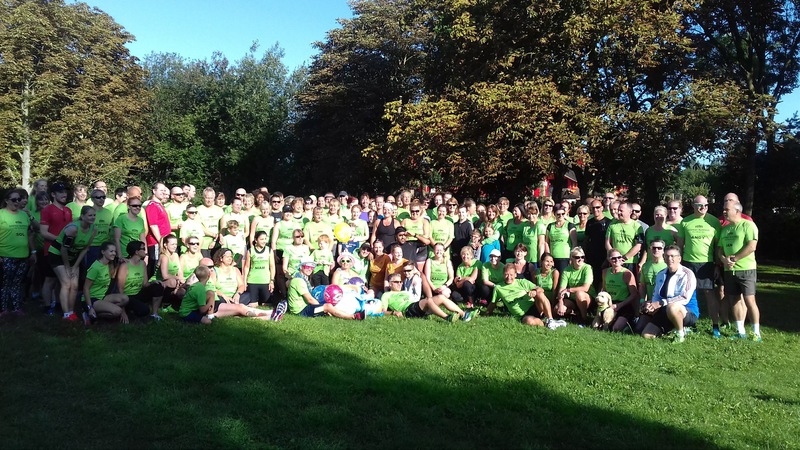 Redway Runners are an inclusive running club in Milton Keynes. For more information about Redway Runners, please visit www.redwayrunners.com. For more information about MK Hospital Charity, email fundraising@mkuh.nhs.uk or call 01908 996220. For more information about the Haemophillia Society visit http://haemophilia.org.uk/.